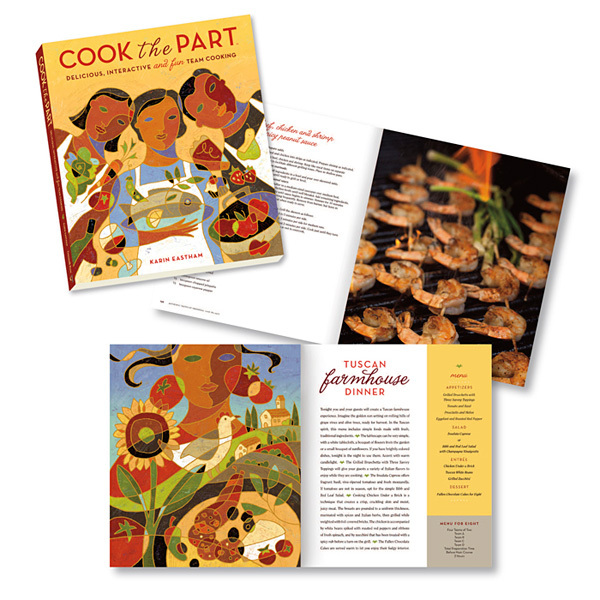 "Cook the Part: Delicious, Interactive and Fun Team Cooking" is a cookbook that I designed and illustrated. It is all about cooking together which is something I really enjoy. My illustrations create the mood for each chapter theme and photographs capture the delicious food and festive dinner parties.